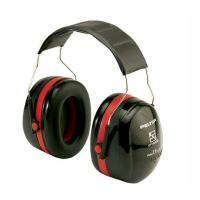 Excellent hearing protection with high comfort best describes theOptime lll. Developed for use in extremely noisy environments, the hearing protection is based on technology that minimises resonance in the holder casings. This results in maximum high-frequency muffling, while at the same time it is easy to understand speech and signals.